Taco Bell is an American chain of fast-food restaurants based in California, a subsidiary of Yum! Brands, Inc. They serve tacos, burritos, quesadillas, nachos, and all that to more than 2 billion people at around 7000 restaurants. 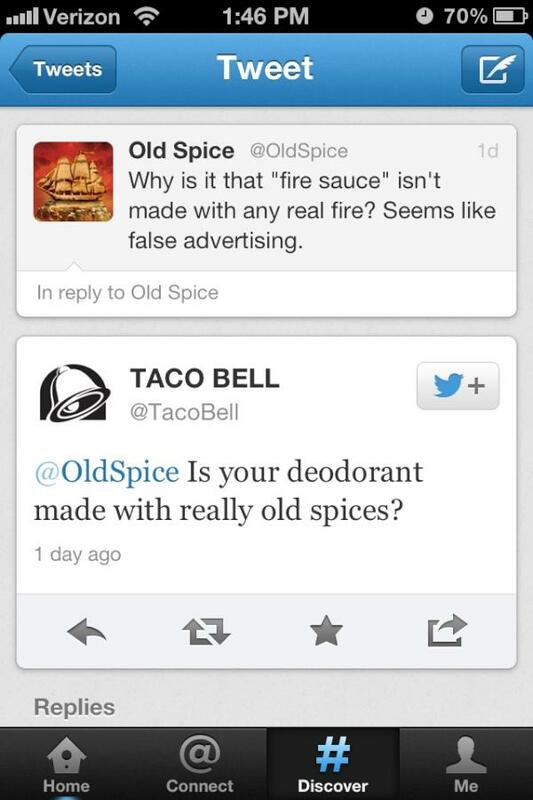 Taco Bell is the rockstar of social media marketing. McDonald’s and Burger King would probably sell their fast-food souls to have Taco Bell’s social media success. And it’s not even about millions of followers they have. It’s about the level of engagement, the number of conversations their every social media move produces, and the loyal customers they attract through social media presence. 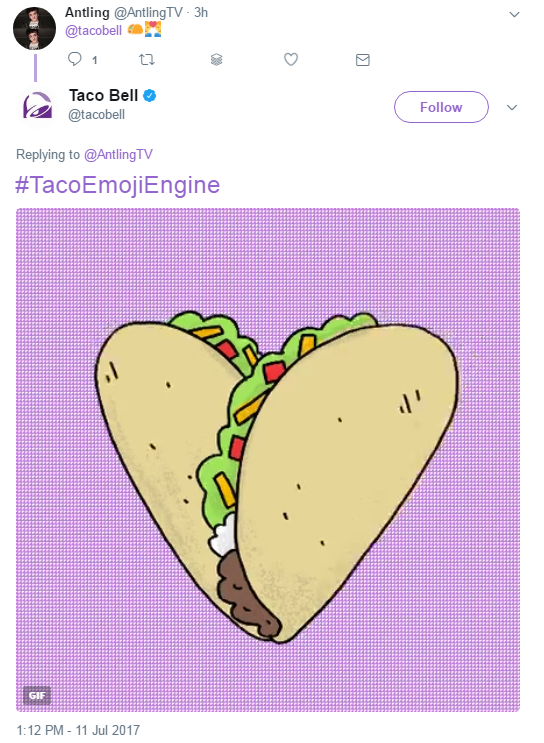 Taco Bell exists on every major social media platform, including Facebook, Twitter, YouTube, Instagram, Google Plus, Tumblr, Pinterest, Reddit, Snapchat and even Vine. They post regularly on every network, engage with customers, receive and reply to complaints, and have fun as if social media is all that matters in this world. So what underlies their strategy? How did they get to have the brand pages they have and what can we do to be a bit more like Taco Bell? 1. Taco Bell found their brand personality. 2. Taco Bell went real time. Each of their replies is personal – there’s no Ctrl+C/Ctrl +V in their social media strategy. 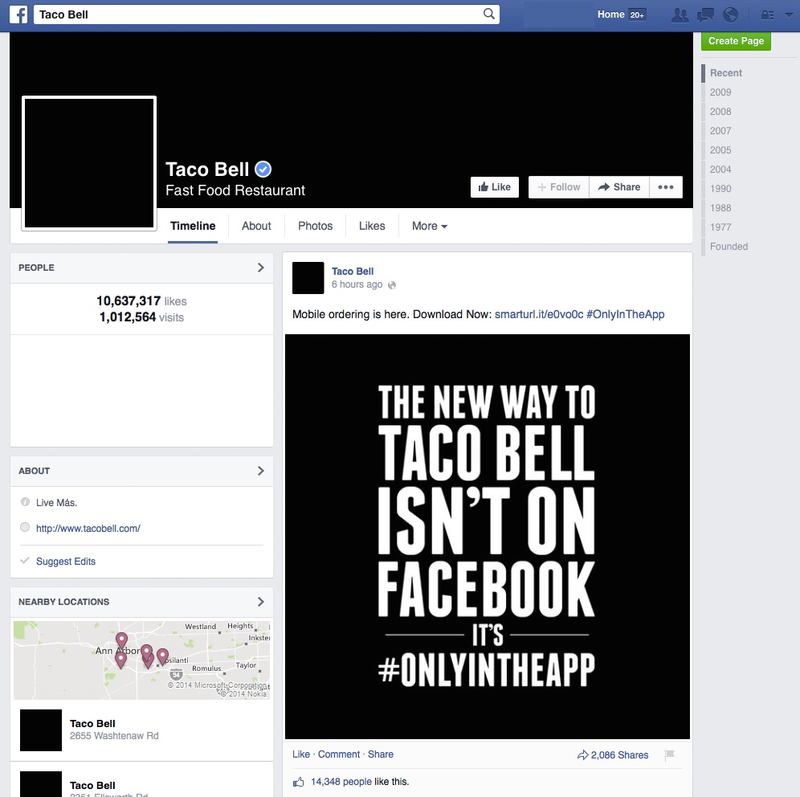 The relationship Taco Bell builds on social media is as humanistic and real as possible. They use replies, retweets, and favorites as a way to show they are not a huge mindless corporation – they’re your quirky friend that always has some tacos. Content curation, which is basically Taco Bell amplifying interesting content from their social community. Let’s stop at the second point. Winston Binch, chief digital officer that worked with Taco Bell, points out that businesses often connect with influencers that have big fan bases but aren’t connected to the brand in any meaningful way. That’s why Taco Bell befriends brand lovers instead. Not only do they connect with them online, they also give them access to their products before the official release! That’s what every fan values. Thirdly, they jump on existing hashtags and trending topics. 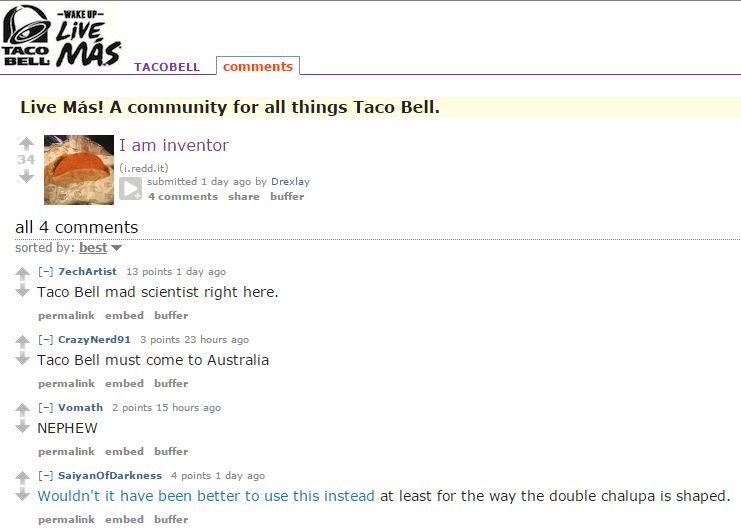 For example, when #IfWeGoOutJustKnow was trending, Taco Bell replied with “my Taco Bell order by heart”. And to #10ThingsIGetAlot they tweeted “Do you sell bells?”, which is not only funny but also shows that they don’t take themselves seriously at all. Despite their popularity and money, they’re a brand that can be easily confused with a shop that sells bells, apparently. 3. Taco Bell is risky and insanely creative. Taco Bell’s campaigns go viral far more often than it usually happens to companies. Let’s break down why. Firstly, they seem not to be afraid of anything. For example, they’re marketing on Reddit. Every social media marketer out there knows that Reddit is a risky space: no one out there likes marketers. Redditors often make fun of people who try to sell things by appearing to be their friend, and they ban users vigorously. Yet Taco Bell is alive and well. Anything as creative is hard to come up with. It teaches us that sometimes you have to go in the opposite direction to stand out. You can imagine how much their engagement increased! If you can’t, here are some numbers: the brand received more than half a million tweets in the first five days. Taco Bell also loves to announce their new items in the always new, sometimes bizarre ways. For example, they introduced the Cool Ranch Doritos Locos Tacos via a six-second Vine. Why Vine? In all honesty, I couldn’t say. But surely their Vine followers felt honoured. Sometimes they allow people to pre-order the secret menu item online prior to the big reveal. People pre-order even though they don’t know what it is! These moves keep their customers curious and engaged, which is the ultimate goal. c) Every now and then they come up with amazingly creative social media campaigns. Not sure how to act on social media? Be more like Taco Bell!